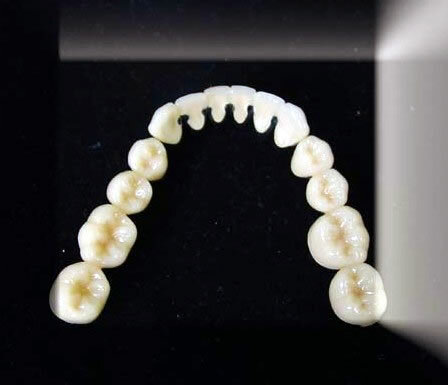 For patients who prefer gold or have allergies to traditional pfm's, dentist can prescribe porcelain fused to white noble restorations as an alternative. It has the beauty and reputation of a noble alloy, without the premium price of a high noble yellow gold. 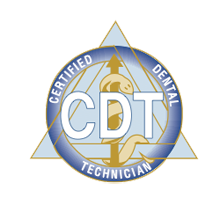 Our dental laboratory carries a full line of restorative treatments for every patient and every budget. For more information, please don't hesitate to contact us at Art & Science Technology. 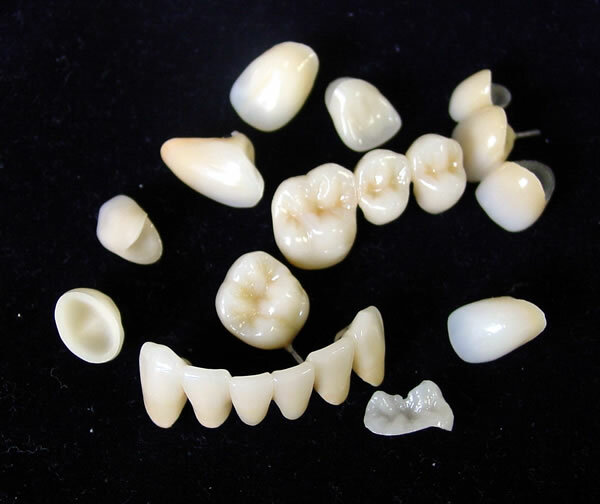 Our porcelain fused to high noble restorations provide beauty and strength all in one restoration. 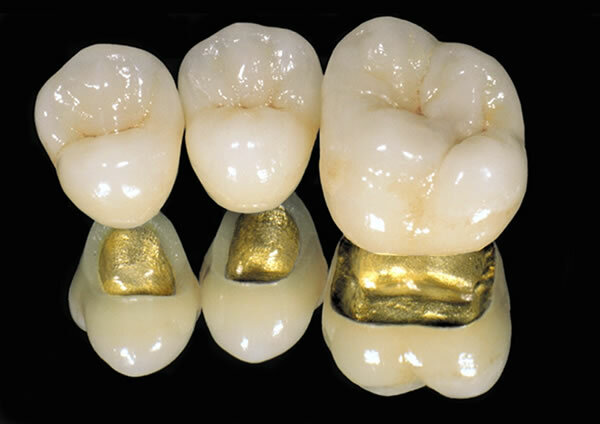 Preferred over traditional pfm's, the luster of gold and the biocompatibility attracts most doctors and patients alike. 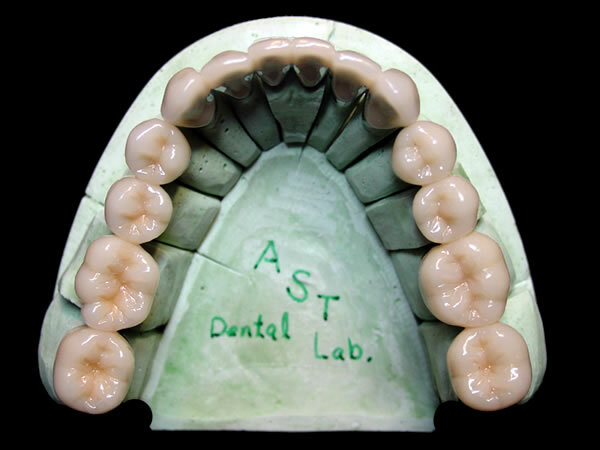 A proven favorite among dental restorations for doctors, dental labs, and patients alike.